One of the benefits of this software is that it has the ability to mask your information by dynamically masking sensitive and personally identify information which can be tracked through application screens, reports, developments and database administration tools. This is done in such way that under proper authorization, one’s information can only be accessed by the relevant authority but outsiders will never be able to access such information by hiding it from outsiders. In addition, it will create a database firewall which will prevent real time internal and external attacks before reaching and accessing your database. Because of this, Green SQL is therefore effective in protecting cloud-based databases like Amazon AWS, Google-cloud platform, SoftLayer, Microsoft Azure among others. One other feature is that it has an end-to-end solution for database access control with user rights management for databases which helps in reducing risks while at the same time achieve regulatory and rule-based compliance. Green SQL is also good for filtering all database traffic by detecting and blocking SQL injection attacks by preventing unauthorized access to prevent theft of data as well as abusive behavior. It also helps in monitoring the use of one’s database across various platforms. This feature is crucial as it will create a well defined audit trail policy containing sensitive information on columns and tables which will show you any changes that might have occurred before or after the database was accessed. A successful combination of the auditing and the data-masking feature will therefore ensure that sensitive information will be easily identified as it has an auto-discovery feature necessary for protecting sensitive information and regulated data fields which are in compliance with PCI, HIPAA among other policies. With this software data contained on one’s credit card, emails and even passwords for various platforms will be effectively protected. This way, identity theft is minimized and one’s private and crucial information is safeguarded and at the same time a company’s IP address will also be secured. 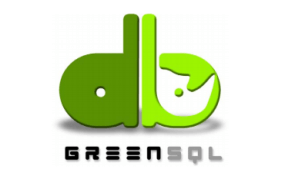 Green SQL is therefore effective in that it is normally installed in a reverse proxy between applications and RDS databases in such a way that, it is able to inspect every command sent to the database regardless of the source. With the successful installation of the Green SQL we guarantee that loss of crucial personal or a company’s database will be minimal. This is because it has various features put in place such masking, auditing and monitoring among other various features all made for the purposes of preventing unauthorized and illegal access to your information, necessary for the execution of your daily business.